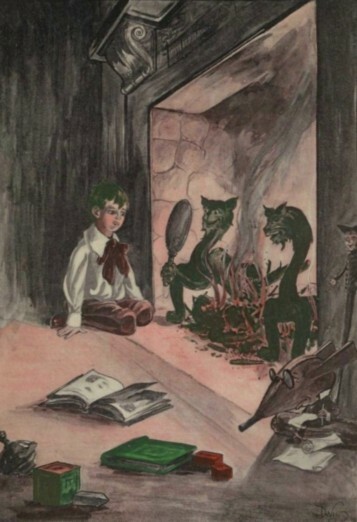 From "Andiron Tales" from 1906, by John Kendrick Bangs and illustrations by Clare Victor Dwiggins. My mind is not only simple — it’s tired. In the last post I forgot to write about the other simple books I’ve read this fall. Maybe beacuse I had forgotten the titles (I told you my mind is tired), and when I went over to Gutenberg to check the titles, I forgot what I was looking for, and I started to look at other interesting books! So here I am with only a vague notion of what I’ve read, and what I thought about it. 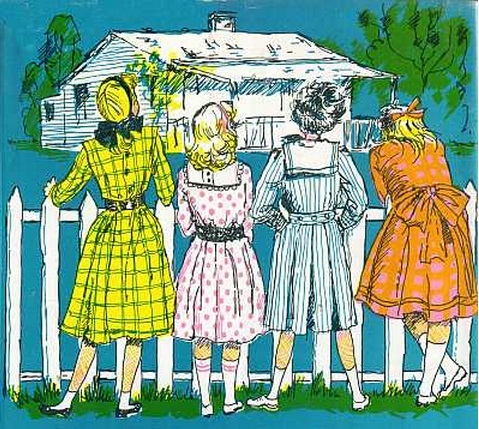 Yes, I remember that I read “The Enchanted Barn” by Grace Livingston Hill Lutz, but not what I meant to say about it. I’ve written about the author before, and I’m still not quite sure what I think about her. This time I kept notes while I read — notes that now are resting in my other computer. The men in her books are either unlikely gentlemanly, or terrible villans — while the the female protagonist is feminine and ladylike (and usually poor). It sure sounds as cheap pulp literature, doesn’t it? 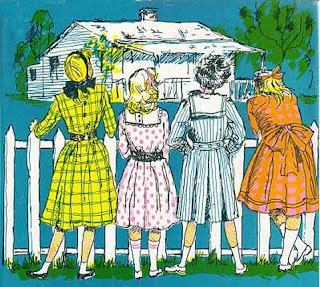 One of the books I’ve enjoyed is “Dandelion Cottage” by Carroll Watson Rankin. 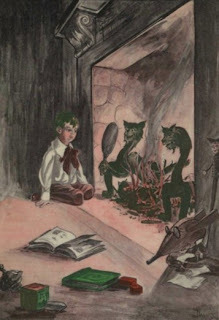 The book was first published in 1904, but this edition was printed in 1977, and had rather modern illustration by Mary Stevens. They are not bad, but I don’t care for them. I’ve never heard of the book before, but I understand that it is considered a classic — at least in the midwest where it take place. It’s a charming book, and I think I’ll read “The Cinder Pond“, by the same author, which also is available at Gutenberg. I’m about to start reading “Andiron Tales” — so far I haven’t read much more than the paragraph above. If the rest of the book is as delightful as the beginning, I will not be disappointed. Andiron Tales sounds good. Grace Livingston Hill is too sugary for my taste. I've read a few of her books, but I can't seem to like them. I do agree - but there is still something in Grace Livingstone Hill's books that fascinates me. Maybe the same thing that I find so fascinating with Eleanor Porter's books, and quite a few books from that era. Those authors used pretty much the same ingredients, and their language is usually good, and for some reason I get curious if the book will end as I think it will - they usually do. I do agreee, many of Livingstone's books are just too much - and some are not good at all. And still I'm fascinated.. I have been looking at the illustrations in Richmonds books, but not read any of them, until the other day when I started to read "Under the Country Skies". Gutenberg has quite a few of her books. For the moment I'm also reading Rex Stout.